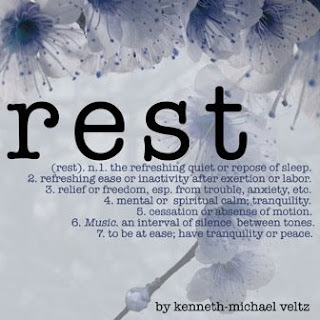 Yes, the title of this post is a bit conflicting w/the name of my blog, but I've come to realize the importance of REST. Some bodies may be able to run 7 times a week. Some, like mine, cannot. Listening and understanding your body is probably the most important part of any athletic training regimen, one that I often forget with my "go big or go home" mantra. Three weeks in May before receiving my official NWM2012 schedule I was anxious and wanted to get a head start. I was running hard 3mi almost everyday & weight training 3 times a week. My knee started making clicking sounds, my achilles was throbbing, and my neck was just plain uncomfortable. I should have known better than to dive right into it. When I set a goal, I get excited, and that voice in my head gets … a little irrational. Stretching at a TTC bus stop and grimacing in pain, a friendly woman asked me what was wrong. "My whole right side!" I replied with a stiff smile. We started chatting about running and not before long she was revealing her own athletic goals and recovery secrets. She was tall, strong and training for a triathlon this summer. Her best piece of advice for me? "Why aren't you listening to your knee? Listen to your body." Most runners schedule a day of rest and almost all athletes believe in down time. Studies have shown that it's when you are not running that the muscle rebuilds itself and gets stronger. If the muscle doesn't receive enough recovery time, continuous training will break it down more than build it up. As much as I am dedicated to my running goal, I am just as committed to my newfound running attitude of "Train Hard, Rest Harder". When I received my official NWM2012 training schedule from Marie Purvis. The first thing I noticed was the Sunday rest day and I'm glad it's there as a reminder. So what am I doing on my day off? Listening to my body and actually taking a day off!